As much as we like to try new things when we visit Walt Disney World, we usually end up hitting a few favorites each time. 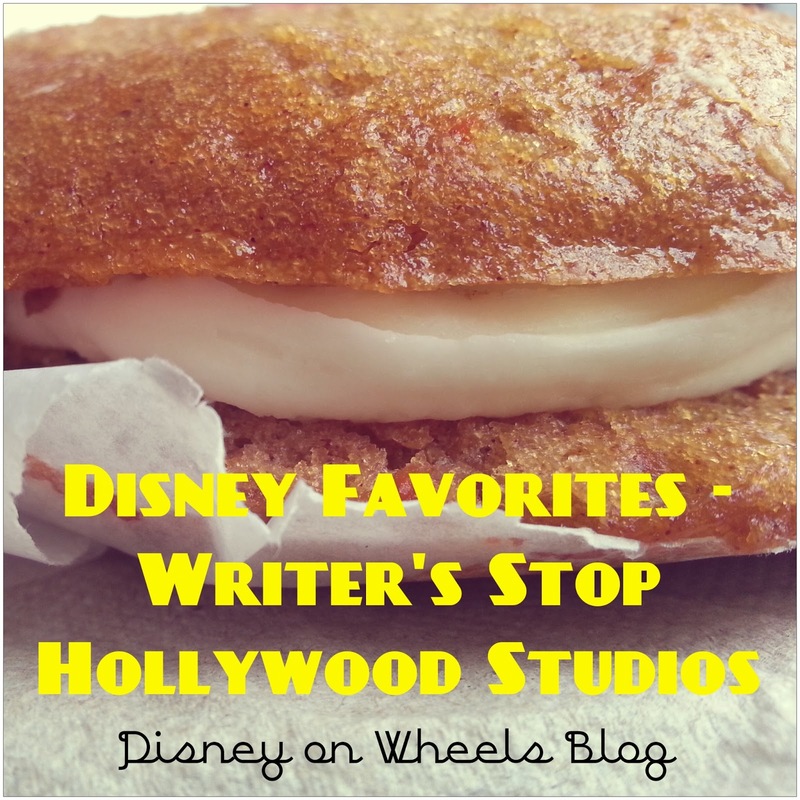 For the first post in this series I wanted to share a place we never skip, the Writer’s Stop at Disney’s Hollywood Studios. Located near the Streets of America, the Writer’s Stop tends to be the one spot we stop at multiple times on trips. One year the Cast Members started to recognize us! I love the intimate, coffee shop feel of the place. 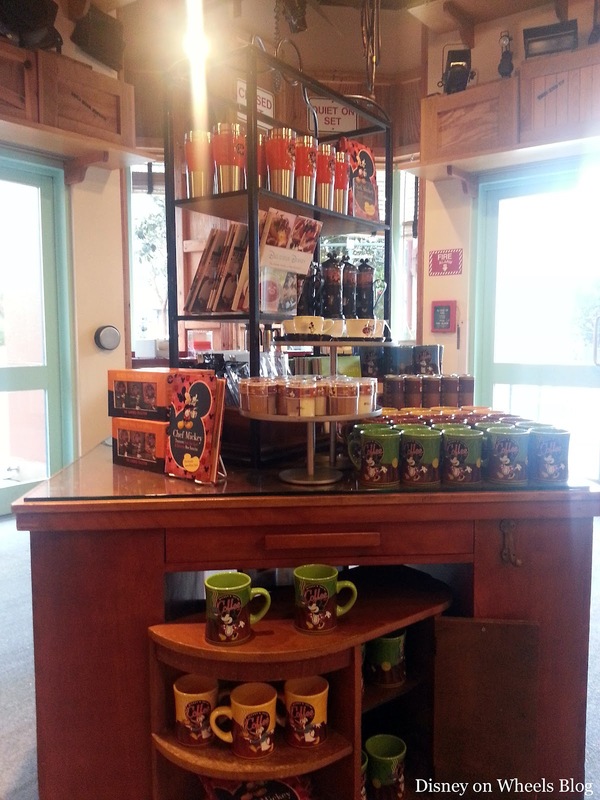 There are books to browse, coffee mugs, and a few pre packaged treats. The real star of the show is the baked goods. 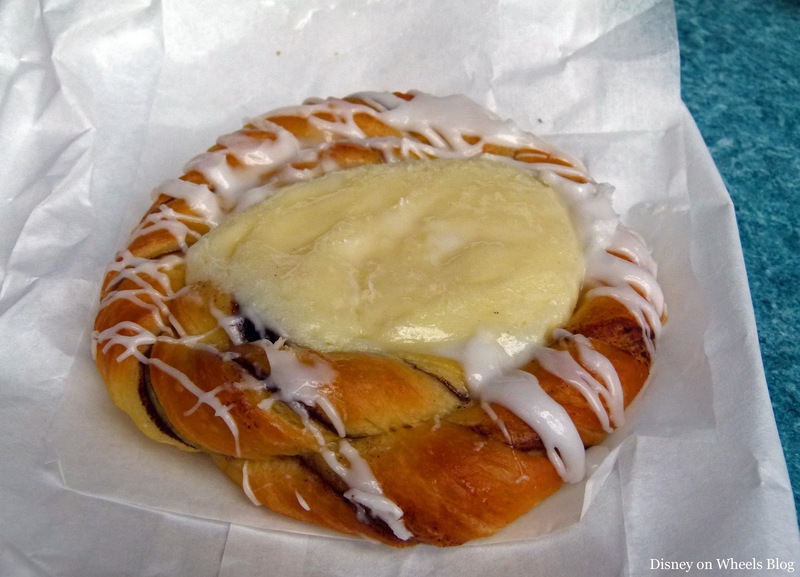 I’ve featured the Cheese Danish (it’s my favorite on property) and the Chocolate Danish but I wanted to give you an idea of some of the other items available. 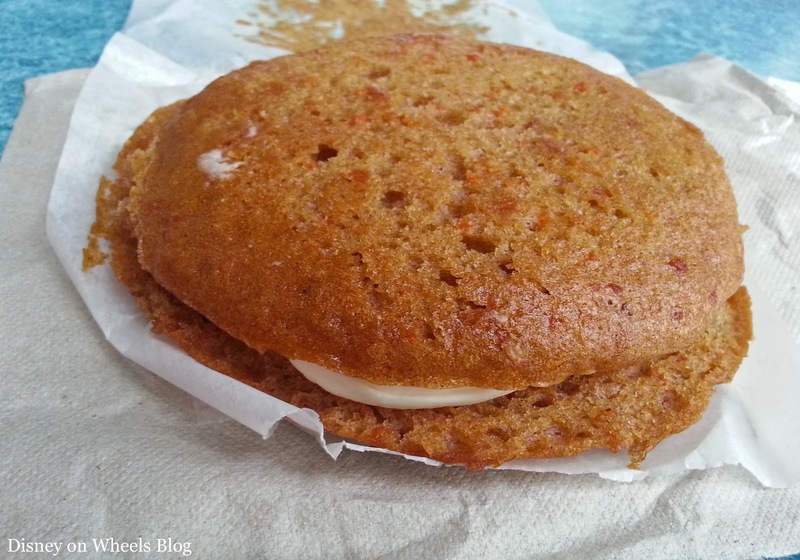 The Carrot Cake Cookie is definitely a favorite of many. My friend Mary from Capturing Magical Memories loves them for breakfast and my friend Jackie from Delightfully Disney can’t pass up one with a diet Coke. It’s soft, moist carrot cake filled with yummy cream cheese icing. What’s not to like! One morning I couldn’t resist the Strawberry Muffin. I haven’t noticed it anywhere else, plus it’s pink! It tasted like the strawberry cake my Mom always made for birthday as a kid. The also have several other types of muffins, Banana Nut, Apple Cinnamon, and Chocolate Chip are a few. Drew’s favorite is the Double Chocolate Chip. 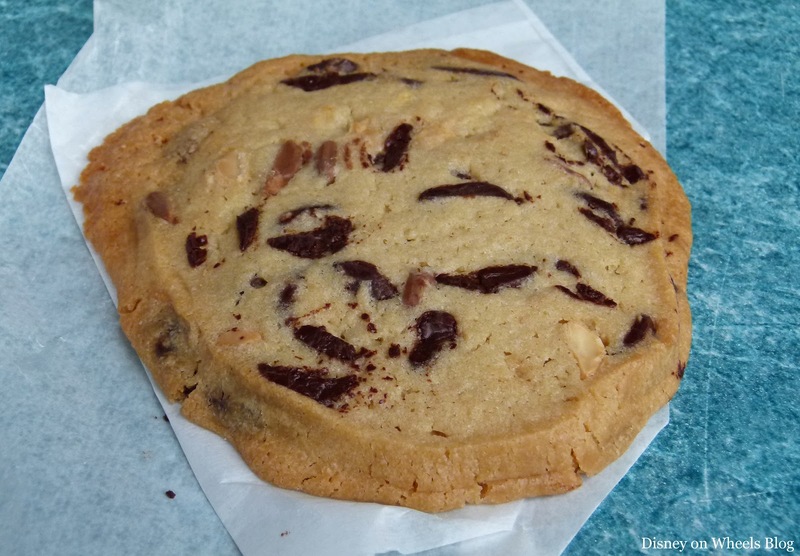 Drew also loves to get one of the giant Chocolate Chip Cookies, usually for breakfast. So you’ve probably figured this out already but we love the Writer’s Stop! It’s a great place to stop in for breakfast, grab a cup of coffee, or to grab dessert or a snack later in the day. 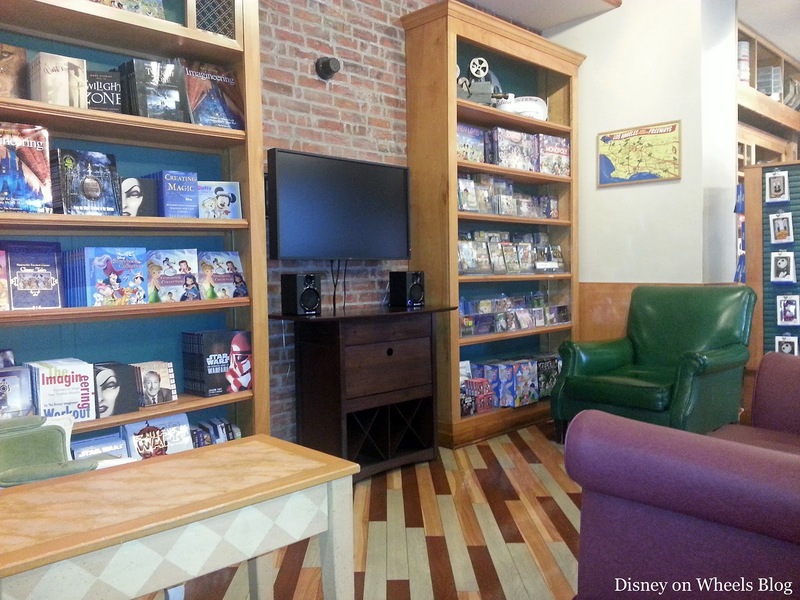 I’d like to thank my Disney BFF Estelle at This Happy Place Blog for inspiring this post. Make sure you check out her post about choosing between old favorites and new restaurants at Walt Disney World. I see a Toffee Mickey Brownie in my future!